Started the day with breakfast at a cafe in one of the many squares off of the Main Street. There was a farmers market, though mainly it was touristy stuff, like the candies orange peel – so delicious!! 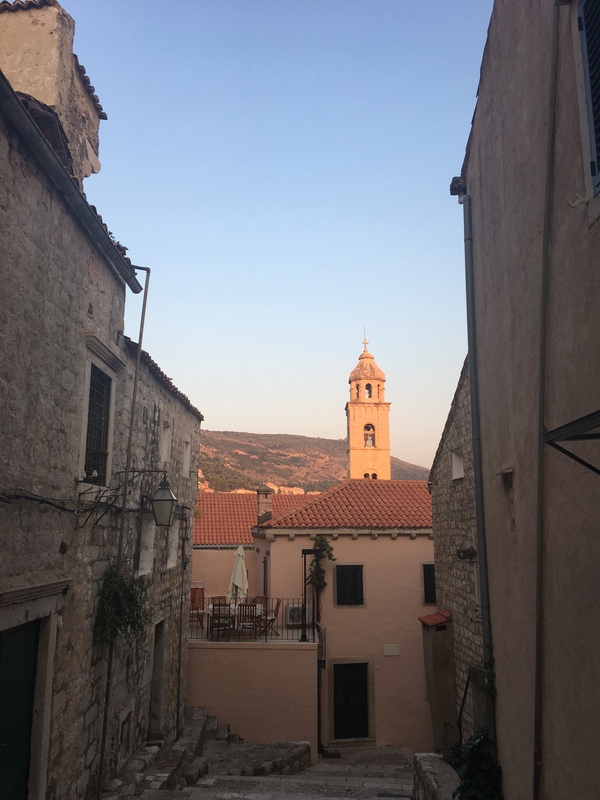 Spent the rest of the day tramping around the city looking at gorgeous views and the various shoot locations for Game of Thrones. 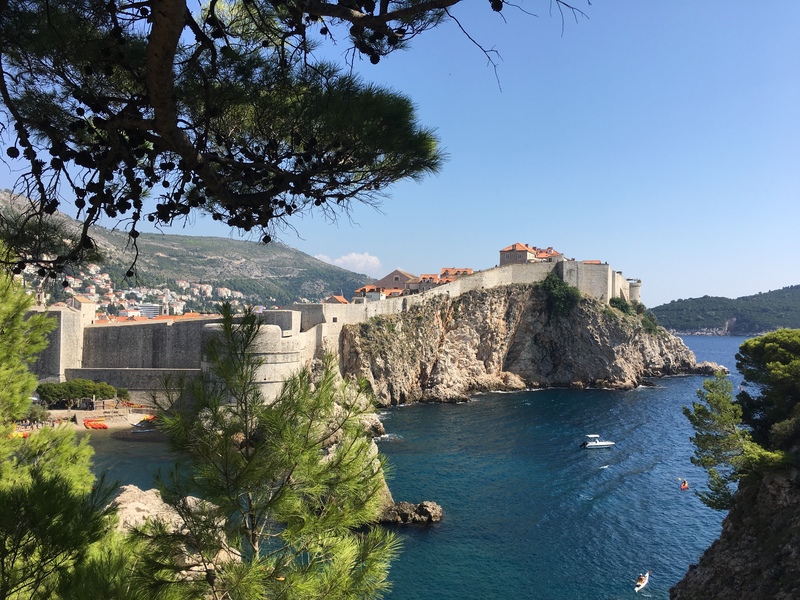 Cold beer with a spectacular view at Buza – watching the sea and the cliff jumpers. 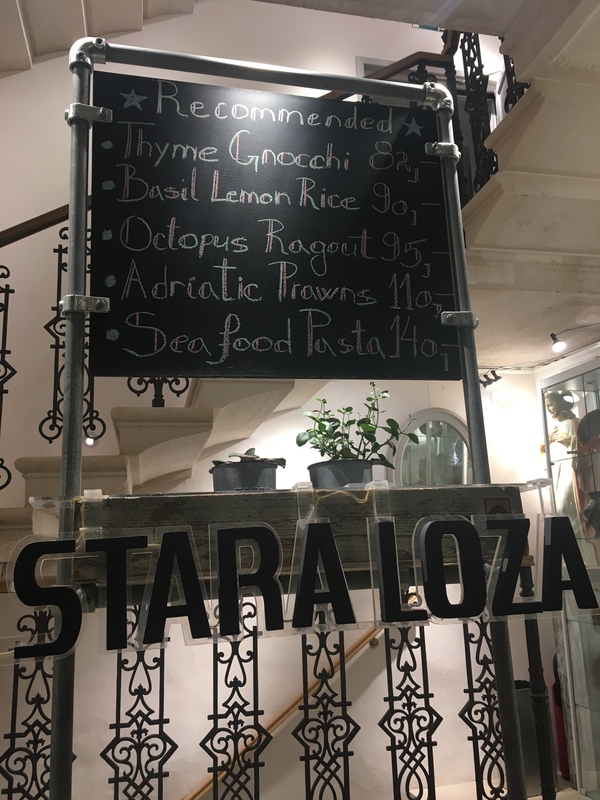 Then dinner at Stars Loza – ridiculous grilled bread with an assortments of butters and fish entrees, tuna and sea bass.